Six villages in Rewa rejoiced yesterday when a newly constructed concrete footpath was opened in a traditional ceremony by Ro Teimumu Kepa yesterday. She acknowledged the work of the villagers. Six villages in Rewa rejoiced yesterday when a newly constructed concrete footpath was opened in a traditional ceremony by Ro Teimumu Kepa yesterday. She acknowledged the work of the villagers. “This type of work shows the amount of unity that we have and I am here to thank you for your hard work and dedication. “I encourage us to continue this type of good work as this can help to bring about more positive changes to the village,” Ro Teimumu said. Villagers of Vutia, Narocivo, Vunuku, Tavuya, and Nukui now use the Rewa -Vutia District track footpath to connect them to other villages in the Tikina ‘o Rewa. The original dirt track used to be so soggy and intimidating when it rains in the delta. Now villagers, especially schoolchildren, waltz over it gleefully to and from school. 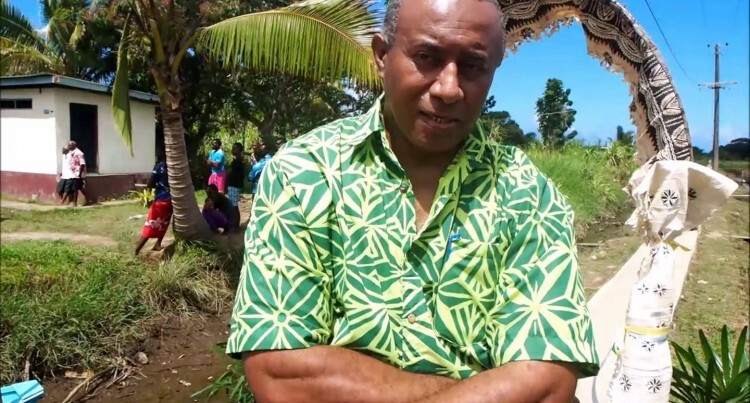 The advisor to the Rewa Community- based Development Association, Ro Vilive Tuisawau, says this was made possible through the assistance of the Australian Government. “This work was initiated by the Rewa Community- based Association and it comprises six villages and we acknowledge development donors such as the Australian Government. “The total cost, in addition to labour and other materials we used is $16,000 and it took seven months to finish this work. This will make it easier for people to move about,” Mr Tuisawau said.